Langley Alpha Pro. Photo by Natalia Horinkova. Fall down the rabbit hole of photography and in no time you'll find yourself possessing pounds of equipment. How do you get around with all that stuff? We turned to some of our favorite travel photographers to find out what they use to shlep their lenses all around the world. Whether you're an aspiring photographer or gadget junkie, you know it's important to keep precious equipment safe and secure while on the move. In these instances, not any old backpack will do. 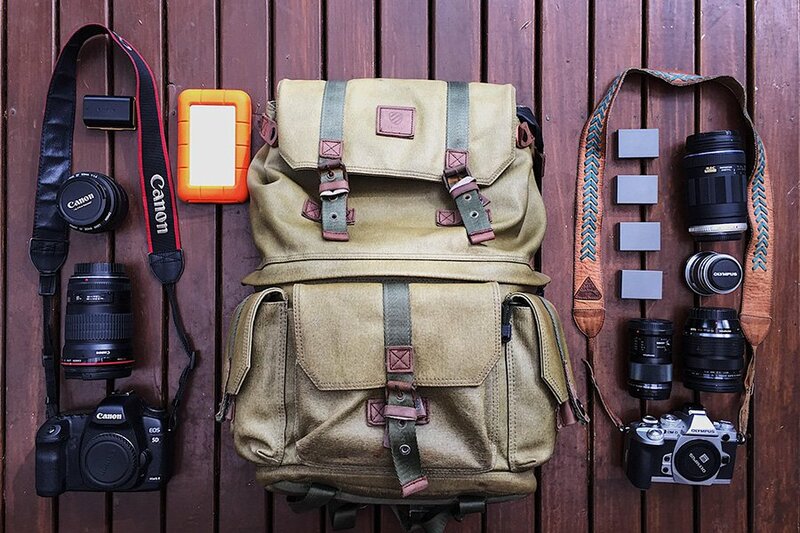 We asked the professionals photographers we follow on Instagram to recommend their favorite camera bags. Their suggestions strike a nice balance between form, fashion, and function. Photo courtesy of Trippin' Co. Perfect For: Short trips, especially in nature, as it is easy to clean. What's to Love: Highlights include the colors (I have it in pink and yellow) and the external pockets, where I store things like pen drives, memos, and notebooks. I use it with a reflex camera and two lenses. Last Used: Photographing lakes and mountains in Bariloche, a beautiful city in the south of Patagonia, Argentina. Perfect For: Adventure in the woods and in the city. What's to Love: The perfect carry-on fits all my gear, including my laptop. I take it on overnight adventures, packing the bottom half with a camera and couple of lenses and the top with clothes. The bag keeps me organized and ready for rainy days. Last Used: To stroll down beaches and hike up mountains on a recent nineteen-country mega-trip through Asia and Africa. Photo courtesy of My Tiny Atlas. 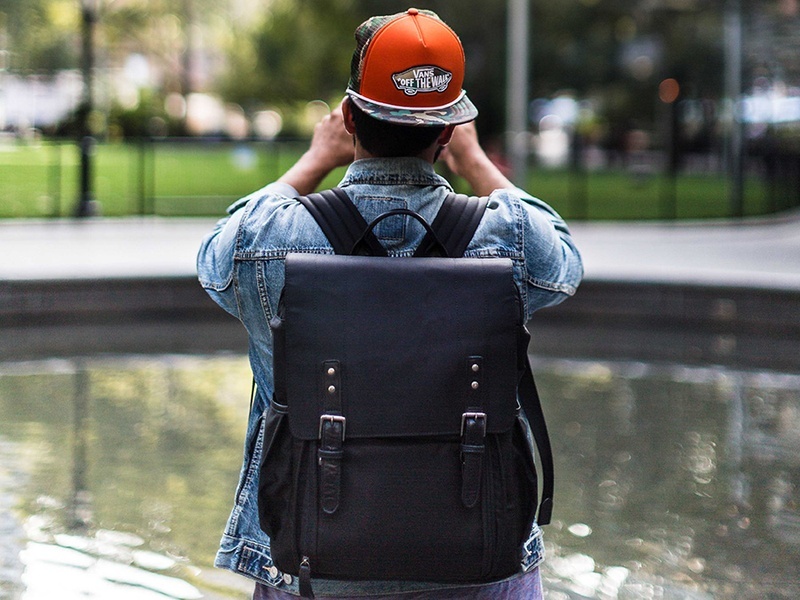 Perfect For: Urban explorers who love the outdoors will appreciate a bag that isn't fussy or precious. 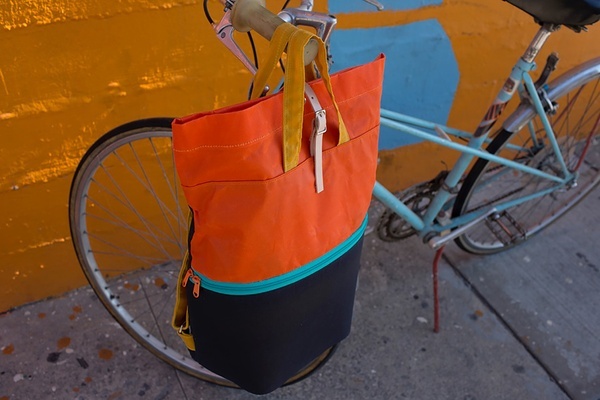 What's to Love: The waxed cotton canvas is bright, fun, versatile, and super lightweight, and can be carried three ways: as a tote, backpack, or shoulder bag. 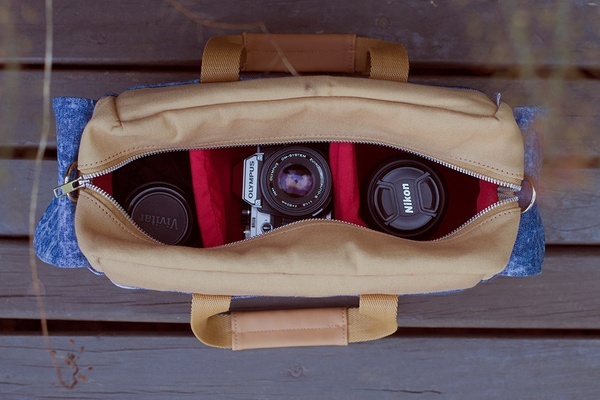 It holds a laptop and protects fancy cameras in a totally understated way. Last Used: On a family trip to Haena, Kauai, and Haiku, Maui. Next up: A Tiny Atlas trip to Tahiti and Mo'orea. Perfect For: That Fujifilm TX-2 you were thinking of getting. 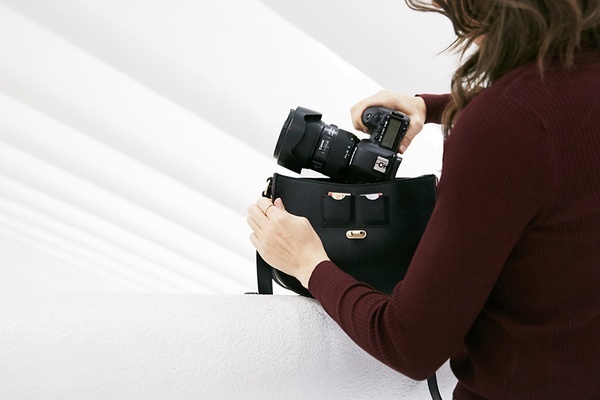 What's to Love: The mini-messenger is made for instant and mirrorless cameras, which are portable and powerful and very in-demand, but it can also cradle a crop body DSLR and two lenses. The slim silhouette and supple leather make for a handsome accessory that makes for easy access on the go. Last Used: On a bike ride through Brooklyn. Perfect For: The main compartment is only accessible from the backside, which gives me extra security when I'm working in busy or dodgy areas. It fits everything I need for a simple setup, has a rain cover, and is robust but comfortable to wear. What's to Love: It's small and compact and great when I'm walking a lot and not using heavy lighting. It carries my Nikon D800 with a Profoto B2 Off-Camera Flash, and can even squeeze my MacBook pro 15" if I'm traveling light. Last Used: In Lesotho, where I took landscapes for my upcoming book The Horsemen of Semonkong. I'm off to Romania next to get lost in the mountains. Perfect For: Carrying multiple bodies while moving throughout the city on a whim. 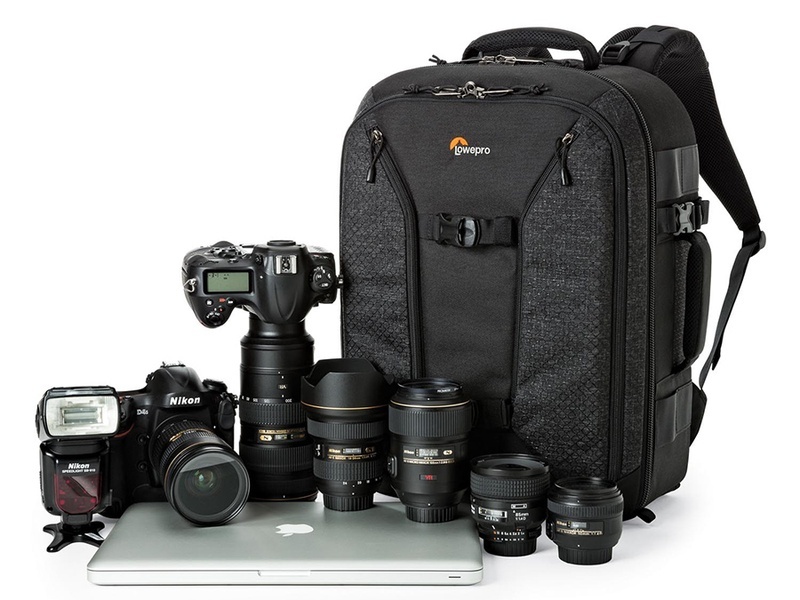 What's to Love: It holds my Olympus OM-1 film camera, Nikon D800, Sony A7, multiple lenses, and a 15" MacBook Pro. 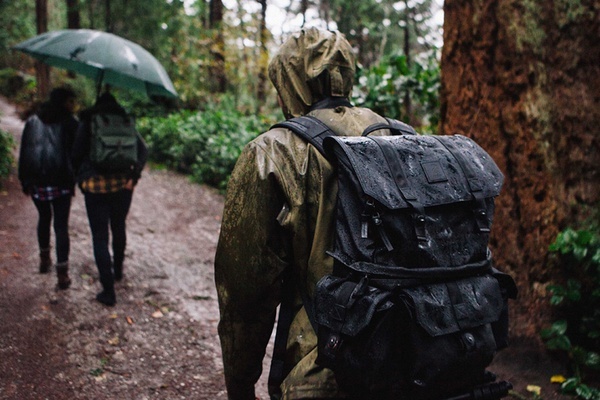 The bag is comfy, durable, and stealthy, even when fully loaded, and comes with a weather guard that protects gear from the rain. Last Used: To explore Mexico City and Jamaica. Photo courtesy of Lo and Sons. I don't have a great camera bag. In fact, I hate mine. It's just a crappy sort of thing I got years ago that hasn't fit my camera properly since I upgraded to a Canon 5D. But I love Lo and Sons' cool minimalist handbags, which look like they were built for undercover photographers. They fly stylishly under the radar (nobody suspects you're hauling a giant SLR in there so you're less likely to get robbed) and can be worn out to dinner without drawing judgment. 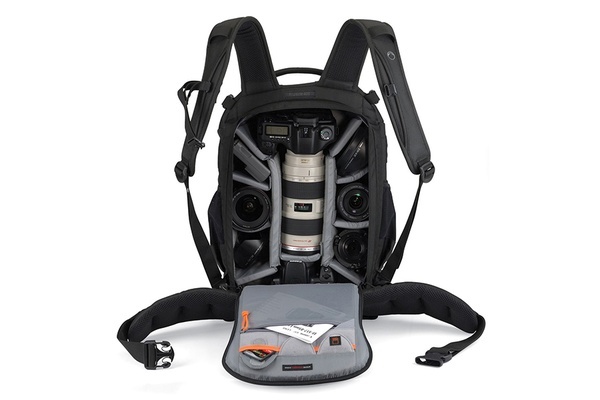 Perfect For: Traveling and event photographers. 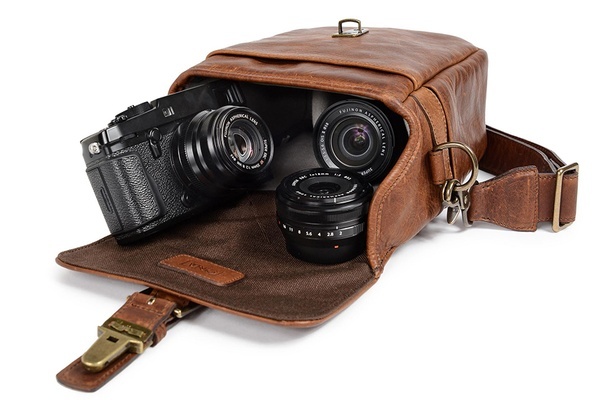 What's to Love: It doesn't scream camera bag and is made with a very lightweight material. Customizable interior padding makes it possible for me to fit three bodies (Canon 5DMiii, Leica M240, Sony A7ii), four lenses (35mm f/1.4, 50mm f/1.2, 24-70mm f/2.8, 70-200mm f/2.8), a film camera, and an external flash. Last Used: In Santa Barbara for a four-day commercial photoshoot.